Will Republicans be able to make a comeback after their staggering losses?? As long as they use fear, propaganda, voter suppression, gerrymandering and all the other trappings to hide behind failed policies, they will keep losing power. During the campaign, I spoke relentlessly about healthcare everywhere I went. Why? Because it was important to the people in my district. 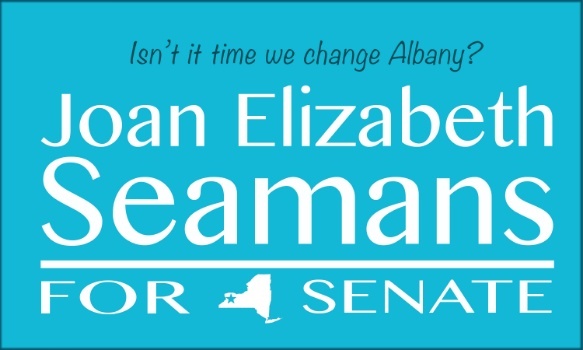 The health care crisis is affecting both republicans and democrats yet, my opponent, when asked at a debate, did not know what the New York Health Care Act was. He thought it was an abortion bill. The crime is not his gaff inasmuch as it is his, and other Republican’s betrayal of their constituents by ignoring the health care problem. Voters were listening. He won, but this close race has many predicting he will not run again in 2020. Republican assembly incumbent, Ray Walter, tried to convince intelligent people in our community that Karen McMahon for New York State Assembly was going to cost each of us $18,000 a year if our state moved to single payer health insurance. The blatant misrepresentation of facts while offering no solutions helped contribute to his downfall. Again, smart voters came out and made this happen. I ask each and every friend and follower I have and their like minded friends to not get comfortable. The winning in NYS and across the country was remarkable but we have more work to do. We must replace those republicans who do not have our shared values. We must replace those who continue to put power, politics and money above the people they were elected to serve. I have said this before and will again be crystal clear. We have to stop them NOW before they get too rooted. Yes, the town council seat or county leg seated must be protected or flipped to Democrat. We need a to elect those who fight for people not corporate interests. It starts locally. We have local elections in 2019 and I think all will agree that things would have been vastly different if the current indicted congressman didn’t get his footing here in Erie county politics. So yes, vigorously work for local good candidates with integrity this year. Enablers have to go. The silent ones holding office, who sold their souls for whatever reason, need to be voted out. I’m talking about the local and state races. Where are their voices? They shamefully cower instead of calling out the lies, indecency and daily assault coming from D.C. Right is right and wrong is wrong. Who thinks we need people with integrity and courage representing us? It’s understandable that many are tired after putting in a lot of work the last two years to see the wins we had. Please take a little break if you need to but then come after the holidays and make your New Year’s resolution to be a warrior in this movement. If everyone stays committed and we can bring more into the fold, we can do this.